Open House Saturday & Sunday 1pm to 4pm. This beautiful charming single story family home has a spacious floor plan plus has an additional downstairs entertainment room area, plus office area and other rooms which is a must see. You can also enter this area from the 2nd bonus long driveway left of the house. The natural light flows throughout this lovely home. The backyard deck and garden also adds a sense of tranquility to this amazing home located in a stellar location. Freshly painted interior & exterior. 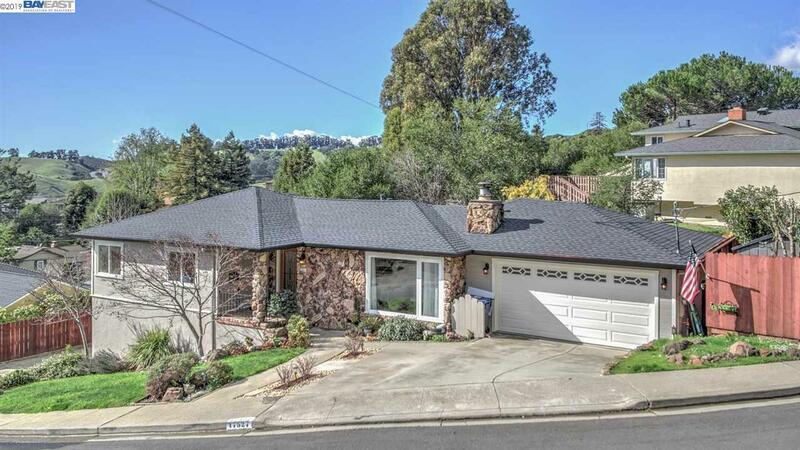 The bonus 2nd driveway is perfect for a boat, rv, extra cars or an area for a basketball court.Proximity to an array of dining, shopping, attractions, Lake Chabot, Bart and easy access to the south bay, SF Bay, and Major Bay Area destinations. The Castro Valley schools are award winning, highly desired by families for their children. You Must See this amazing home!! !